We invest in a concentrated portfolio of carefully-selected businesses, run by management teams we know and trust, and usually with the intent to hold for several years. Occasionally, in the public markets, there are opportunities to buy fractional ownership in businesses at prices below what a rational seller would part with for the entire company. The Fund targets a 10-15% IRR over time and seeks to preserve capital by avoiding companies that trade at expensive valuations, have significant leverage and/or operate in industries subject to rapid change. The most important task for a CEO is to allocate profits to attractive reinvestment opportunities. Common alternatives include: internal expansion, acquiring other companies, stock buybacks and dividends. CEOs are normally appointed based on past success in functions like sales or operations and few practice capital allocation prior to becoming CEO. It is not surprising that many executives struggle with capital allocation while those who succeed often create immense shareholder wealth. Like reputation, good capital allocation is hard to quantify but very valuable. Stock prices frequently fail to reflect great capital allocation ability, thereby creating investment opportunity. 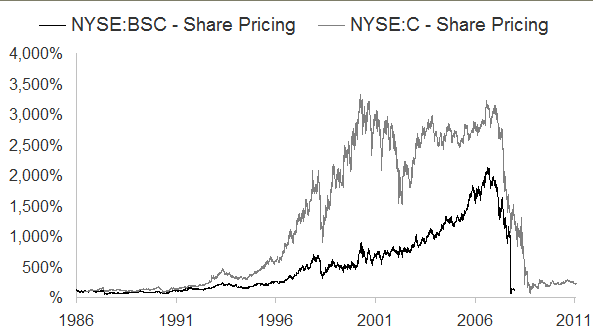 Often the stock market unduly focuses on a company’s current earnings while ignoring the value of its assets. This creates an opportunity for investors to buy Cheap Assets and wait for the market price to more accurately reflect the underlying asset value. The most important question someone can ask before making an investment is “what could go wrong?” Studying how Great Businesses fail is a good way to avoid overpaying for stocks but has also taught us to identify businesses likely to fail in the future. Betting against these businesses is a potentially profitable investment strategy. Volatility represents a source of opportunity. Investment risk is commonly defined as volatility but we believe that volatility represents a source of opportunity. Mr. Market is also an unusual person. He is very emotional – swinging between optimism and pessimism – and he does not mind being ignored. Sometimes his price seems reasonable but often he lets his optimism or fears get the better of him and names either an unreasonably high or low price. Given these conditions, if you are an independent thinker with sound business judgment, you can take advantage of Mr. Market, buying from him at low prices when he is pessimistic and selling to him at high prices when he is optimistic. In fact, the more volatile his emotions, the more often you can take advantage of him. However, if you allow his mood to influence your own, you are destined for financial ruin. Probability of a permanent loss of capital. It is very difficult to recover from large losses so investors should be concerned about the probability of a permanent loss of capital. Four-time Indianapolis 500 winner Rick Mears once said of car racing, “To finish first, you must first finish.” The same is true of investing. Compound interest is a powerful force but can be derailed by negative numbers. Consider the following: If you lose 50% in one year you must now make 100% to restore your initial capital, which, assuming average returns, will take you 10 years. But if you lose 70% you need to make 233% and 17.6 years of average returns to recoup losses. By the time you get back to the starting line, you will have been lapped by the market and probably never catch up. This is why we define risk as a permanent loss of capital. Like the engineer who anticipates the unexpected and builds in an extra margin of safety, we perform an exceptionally careful analysis before making an investment. By recognizing the inevitability of unexpected events such as economic crises, natural disasters, political events and new technologies, we build a margin of safety into our investment decisions. Examples of permanent capital loss. Blockbuster was once the industry leader in home video rental. Technology has enabled cable operators to offer video-on-demand, Netflix has introduced both video streaming and a mail-order service and Redbox has introduced video rental kiosks. In short, technology advanced and Blockbuster filed for bankruptcy in September 2010. 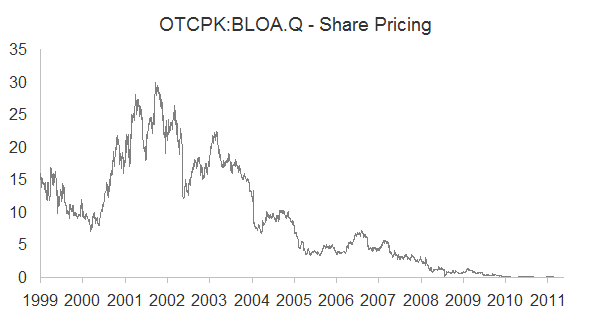 Blockbuster’s market value exceeded $5 billion in early 2002 and shareholders lost everything within a decade. 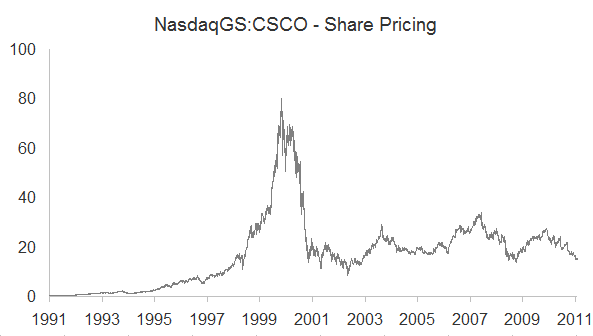 Cisco Systems was a global leader in networking equipment for more than a decade prior to March 2000. Revenue had doubled and its earnings had tripled. However, in March 2000, the stock traded for almost 200 times earnings and despite a great decade of results, by mid-2011, the stock had declined 80%. Las Vegas Sands is a large casino owner/operator in both Vegas and Macau. The stock peaked at $139 in late 2007 when the company had $7.5 billion of debt against only $360 million of operating profit. 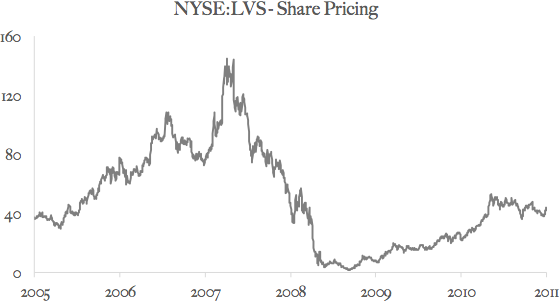 When the financial crisis arrived, Las Vegas Sands’ solvency was questioned and the stock plunged below $2, a 98% decline. 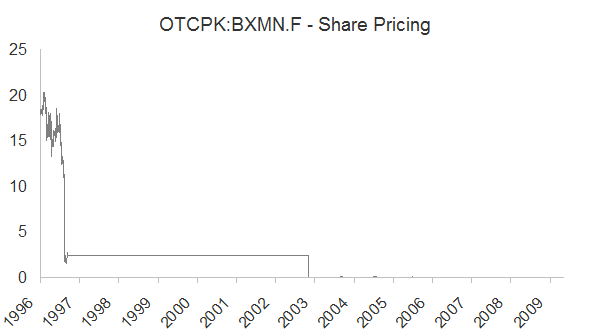 Despite a 20-fold increase to $40, by mid-2011 the stock remained over 70% below its peak. Bear Stearns peaked above $140 in 2007 but was forced by regulators to sell itself to J.P. Morgan for just $10 in March 2008, a 92% decline. Bear’s shareholders did not get to participate in an industry rebound because of the forced sale. Similarly, the government forced massive dilution of Citigroup’s equity in exchange for a bailout. Before stock splits, Citigroup peaked in early 2007 above $545 and by mid-2011 traded at just $38, a 93% decline. The Bre-X story is well known in Canada. The company’s market value once exceeded $4 billion but quickly unraveled when the fraud was uncovered in early 1997 before the company eventually filed for bankruptcy and investors lost everything. In mineral discoveries by little known companies, it pays to be cautious. The record book is full of disappointments. The goal of the partnership is to earn 5-7% annualized net returns, over a reasonable timeframe, while controlling volatility and minimizing the risk of permanent loss. We define a reasonable timeframe as five years, which translates into a cumulative return in the range of 30-40%. 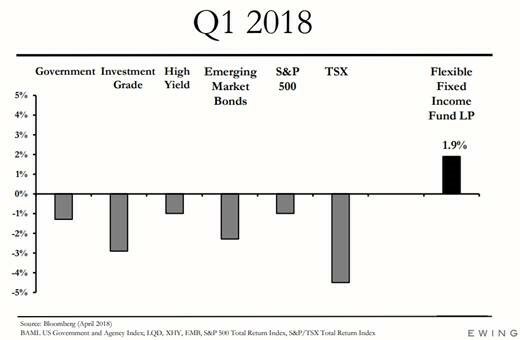 We think our goal of achieving stable, 5-7% net returns compares favorably to our two principal benchmarks – the iShares Canadian Investment Grade Corporate Bond Index ETF and the iShares US High Yield Bond Index (C$-hedged) ETF. These two benchmarks reflect well-known and accessible fixed income alternatives which can be regarded as our Limited Partners’ fixed income opportunity cost. As of February 28, 2019. Please note all returns are net of fees and expenses. Past performance does not indicate future performance. In the Flexible Fixed Income Fund, we believe that there are multiple mental frameworks that can produce attractive risk-adjusted returns. We have created an ‘Investment Playbook’ framework which articulates specific models of thinking used to evaluate fixed income investments. Our process is centered on evaluating individual investment opportunities using appropriate models of thinking demanded by the circumstance. Proper evaluation should enable us to identify investments that have low chance of permanent loss which also offer attractive absolute returns. Dogmatic adherence to a single mental framework is not a value maximizing strategy. Instead, we restrict ourselves to investing in businesses and capital structures that we can understand and where we can clearly formulate a thesis for attractive returns. A critical part of our goal is to minimize the risk of permanent loss (what we consider to be true investment risk) and control volatility. We would posit that “permanent loss” also be considered “permanent loss of purchasing power,” a concept that takes into account the impact of inflation on capital. At current rates of inflation, one dollar today needs to grow by about 2% on an after-tax basis to avoid loss of purchasing power. From this perspective, it can be understood that long term allocations to cash effectively ensures permanent loss. Even at today’s low rates of inflation, a 5-year holding period would result in an approximate 10% impairment on cash relative to the future cost of living. 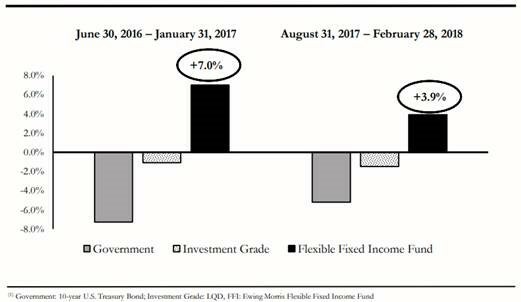 Our view is that higher yielding fixed income investments are one of the few conservative means of minimizing loss of purchasing power while maintaining a liquid investment profile. WITH TYPICALLY LOW NET EXPOSURE. The Dark Horse LP is an investment limited partnership intended for high net worth, institutional and accredited investors. “Dark Horse” is an old handicapping term referring to a horse that is overlooked, unappreciated and mistakenly cast off as another long shot. The true Dark Horse sports long odds while possessing many of the skills and attributes of the favorite. It is the best value in the race. It is the type of wager that those who “know their stuff” and do their research seek. The Dark Horse is the underdog that should not be such and is exactly the sort of investment that we seek for our partners. We will only buy undervalued assets based on conservative estimates of what they are worth, not what they could be worth or what the market may value them at. We will not change our investment principles simply to match the flavour of the day. We believe that outside of some extreme periods of volatility the capital markets are reasonably efficient (i.e. the price of securities is roughly connected to the intrinsic value of the underlying business or assets). As such, we must actively seek out the segments of the market where significantly mispriced securities exist. Simply put, the best chance to find such bargains exist where few, if any, others are looking. If one is nimble, patient and willing to be contrarian there are always deals to be had no matter what the broader market is doing. We will not make short-term decisions that may impact the long-term viability of the strategy. We will not build our portfolio with an eye on daily, weekly or monthly results nor will we take any aggressive actions at a corporate level that may endanger the company’s stability. The strategy has committed investors, operates with no debt and the future use of leverage by the partnership will be minimal to non-existent. We believe that the best way to build a strategy is to do a good job for existing partners rather than spending a great deal of time promoting ourselves to prospective partners. If they do well by those that have entrusted them with their capital they will attract further partners which, over time, will allow the strategy to grow. There are more than enough opportunities to invest in that do not require the firm to stretch beyond its circle of competence of finding misunderstood, overlooked companies trading at significant discounts to their intrinsic value. We do not believe ourselves to be experts on macro-economics, emerging markets, commodities or speculative technologies. If you are looking for exposure to those areas there are plenty of other managers that would be a fit. With the benefit of hindsight some of our decisions will look brilliant and some significantly less so. No one “bats a thousand” in investing. The crucial thing is to be forthright about your mistakes and not too self-congratulatory about your winners. Investors who do not admit that they will make mistakes tend to deal very poorly with those mistakes when they inevitably happen. We are fully aware of our fallibility and as such, will not position our portfolio in a way that one false step (or even a few) will prove ruinous to the entire partnership. We will communicate with our partners in the same straightforward manner that we will use when analyzing our portfolio and evaluating our performance internally. We aim to avoid liquidity, concentration and market risk by adhering to strict risk controls and discovering esoteric company specific opportunities to exploit with long & short positions. The Partners Fund gives our Limited Partners access to our full investment team and their expertise, across our strategies. The Partners Fund allocates dynamically to each of our strategies with an average weighting of 60% Ewing Morris Opportunities Fund LP, 10% Broadview Dark Horse LP and 30% Ewing Morris Flexible Fixed Income Fund LP, over time. The Fund may invest in other funds or underlying securities from time to time, that complement these strategies. We may adjust the allocation to each of the funds as market conditions change and opportunities arise. The Offensive Playbook involves investing in units of the Ewing Morris Opportunities Fund LP which applies a private equity mindset to public company investing. The Opportunities Fund LP employs a long-term investment orientation and invests in a concentrated portfolio focusing on inefficient areas of the public markets. The Fund is geared towards capital preservation and targets a net return to LPs of 10% per annum over time, with lower volatility than the broad-based North American equity markets. The Defensive Playbook is designed to preserve capital for investors through all market environments, particularly during periods of rising interest rates. This is achieved by investing into the Ewing Morris Flexible Fixed Income Fund LP, which has historically had lower volatility and low correlation with general markets and targets 5-7% net returns per annum over time. The Neutral Zone Playbook is accessed via the Broadview Dark Horse LP, a low net exposure North American long-short fund focused on small cap companies. The strategy is capital structure agnostic and seeks “equity-like” returns. The investment approach is to look for structural, nuanced or temporal inefficiencies, conduct deep research and pursue company involvement as a back-up plan. Investment opportunities are reviewed through a private market value lens. We view risk as the chance of permanent capital loss and believe that volatility represents a source of opportunity. We invest when security prices are trading at a significant discount to our estimate of true value. This is designed to provide a margin of safety to protect capital against unexpected events such as economic crises, natural disasters, political events and new technologies. Our goal is to protect and grow our clients’ purchasing power over time.